If you ever travel to Mizoram, you might hear the musical soundscapes of the city, unlike other metropolitan cities like Mumbai or Bengaluru where honking is just another day's job as everybody wants to fly over the traffic jam. While the city people are in rush and the honking never seems to stop, in Aizawl, one is welcomed only by the beautiful and melodious bird chirping. Mostly to reduce noise pollution, people of Aizawl in the North-east Indian state of Mizoram have taken a step to eradicate honking while driving. 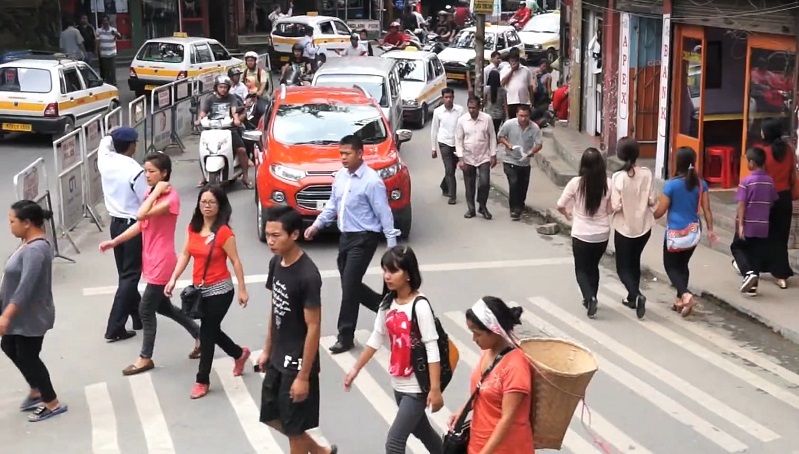 A short film called Tranquility documents the streets of the Aizawl city. Filmed by six youths from Mizoram and Nagaland, the video shows how people of the city came together and decided to make their place a noise-free area. In Mizoram, the local people don't like to honk unnecessarily. A driver will wait patiently when someone is taking a u-turn in front of him/her. Although, there's no official help or legislation, people like to follow this rule for their own benefit. While in most of the cities, the no honking signs are considered as irrelevant as the zebra crossing, the no-honking initiative taken by the citizens of Aizawl surely deserves applause. Choreographer, actor and director Prabhudeva too praised the no-honking policy of Aizawl. Watch this video.